Social media marketing is an integral part of any company’s marketing plan. 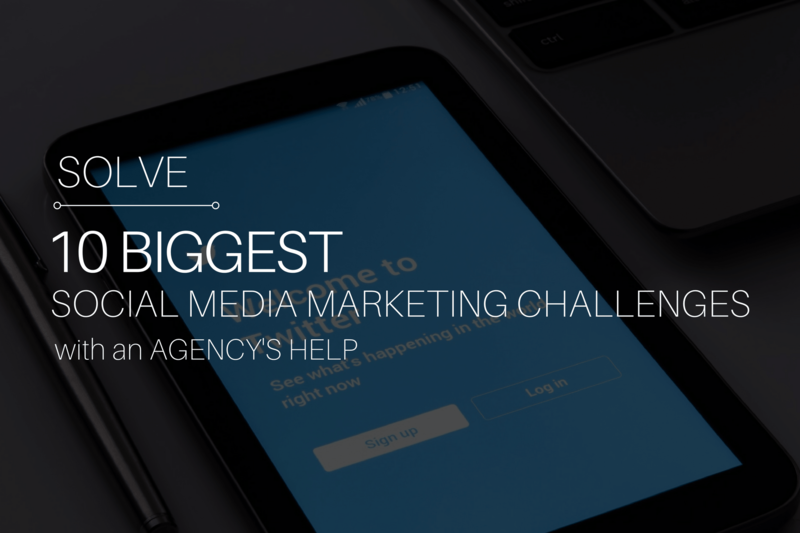 However, social media marketing is not without challenges. Fortunately, an experienced marketing agency can help your brand overcome these obstacles and boost profits. Whether you are using SMS message marketing or a social media platform, flooding users with content is not the best way to make an impact. Instead, brands must make sure that the content they post offers something valuable to the target audience. A reputable marketing agency can do the research and help you focus your content on the right topics. Your agency can also help you create content for specialized purposes, such as influencer marketing. The quality of the content you post won’t matter if users aren’t paying attention. Marketing agencies can help you learn how to draw users in and keep them interested. Building an expansive base of followers can be difficult. An agency can help you brainstorm strategies to find and acquire new connections on social media. 4. Maintaining consistency across channels. When it comes to social media marketing, maintaining a consistent message across platforms is essential. The right marketing agency will be able to help you develop a coordinated strategy that allows you to maintain consistency without repeating the same content on every platform. 5. Knowing when to post. Posting too often can cause your followers to become irritated, while posting too infrequently can cause them to forget about your brand. Your marketing agency will help you find the right balance so that you maintain interest without driving followers away. 6. Dealing with negative comments. When your brand develops a strong presence on social media, negative comments are unavoidable. In order to protect your reputation, you need to be able to respond to these comments appropriately. An experienced social marketing agency will teach you how to address these comments and diffuse the situation in order to minimize the damage to your reputation. 7. Encouraging users to share content. One of the best ways to improve the effectiveness of your social media campaign is to entice your followers to share your content. Not only does this distribute your message further, but it may also help you forge new connections. Social media marketing agencies can help you develop shareable content and encourage your followers to link to it. In order to understand how your various social media campaigns are performing, you need to be able to track their success. Marketing agencies have the tools you need to monitor the performance of each campaign you launch, whether it be an SMS mobile marketing campaign, a Facebook campaign or a campaign on another platform. Visual content grabs the attention of the user and encourages sharing. However, creating visual content can be resource-intensive. Marketing agencies have experience in this area and can help you create the content you need without as much time and expense. Continuously improving the success of your social media marketing strategies is the best way to make sure that you are reaching your full potential. The right marketing agency will help you track your progress, make changes as needed and develop the strongest campaigns possible. Using SMS text messaging. Text messages have an open rate of 98%, letting you truly connect with mobile users whenever you want. With the right texting service, you’ll be able to send out mass messages from a simple interface, or schedule campaigns that allow you to nurture leads in different stages of your sales funnel. Are you currently producing mobile content that performs well? Do you have any questions or additional comments? Let us know below! SafeHouse Web is a Silicon Valley design and digital marketing company in Hollister, California that provides expert WordPress website design, social media marketing, and proven SEO solutions. Email us at hello@safehouseweb.com or call (831) 205-0077. Sophorn is the marketing guy at Trumpia, the most complete SMS software with mass sms messaging, smart targeting and automation. He uses his expertise to help businesses with their digital marketing goals and how to execute an effective mobile marketing strategy.